Pakistan Muslim League-Quaid (PML-Q) leader Chaudhry Shujaat Hussain on Monday met Jamaat-e-Islami (JI) leader Sirajul Haq at Mansoora and held discussion on Panama Leaks and other issues. Siraj and Shujaat agreed that mutual consultation about all matters related to the interest of the country needed to be continued. 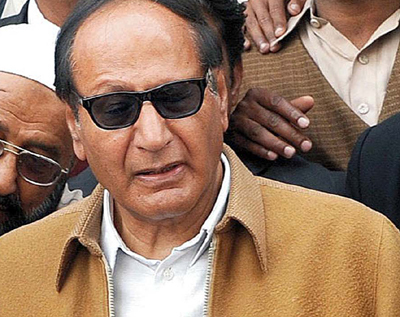 Talking to the media after the meeting, Shujaat said the government was using delaying tactics regarding the Terms of Reference (TORs) for the judicial commission. The JI chief said the country was stuck in a number of problems and the Panama Leaks issue needed not to be brushed under the carpet. He said that a sovereign commission needed to be formed to take care of the issue, and declared corruption as the root of all ills. Both leaders condemned the hanging of Jamaat-e-Islami leaders by the Bangladeshi government. The meeting was also attended by PML-Q leader Chaudhry Pervaiz Elahi and JI leader Liaquat Baloch.